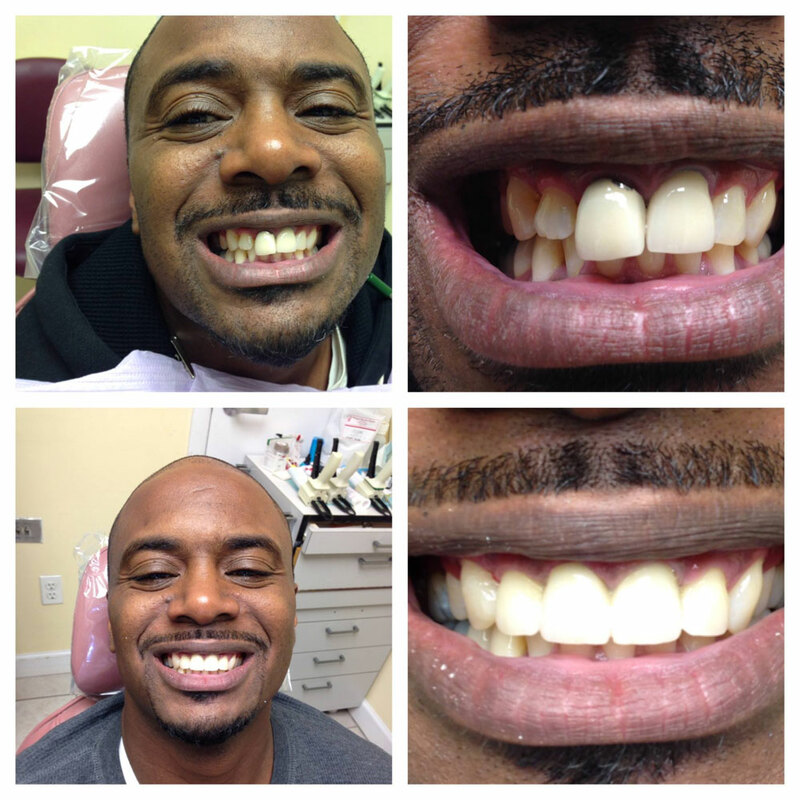 Nothing brightens a patient’s smile as evenly and intensely as professional teeth whitening. 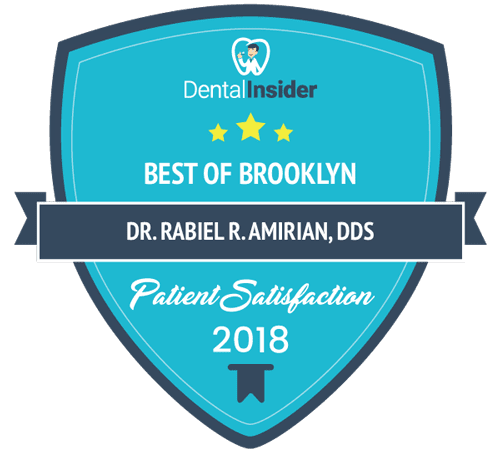 Brooklyn dentist, Dr. Amirian, and his staff at Advanced Dental Care offer personalized teeth whitening services that decrease patient tooth sensitivity. With Zoom! in-office whitening, patients can whiten their teeth up to eight shades in a single, short 45-minute appointment. 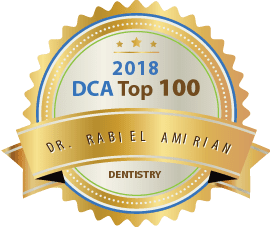 Dr. Amirian and his colleagues are also certified in Kor Whitening, a system that effectively treats deeply rooted stains, focusing on internal staining that is intrinsic in nature. Patients also receive take-home whitening supplies so they are able to touch up a dulling smile at any time. During your initial consultation, Dr. Amirian and his staff will recommend which whitening option is best for your circumstance. 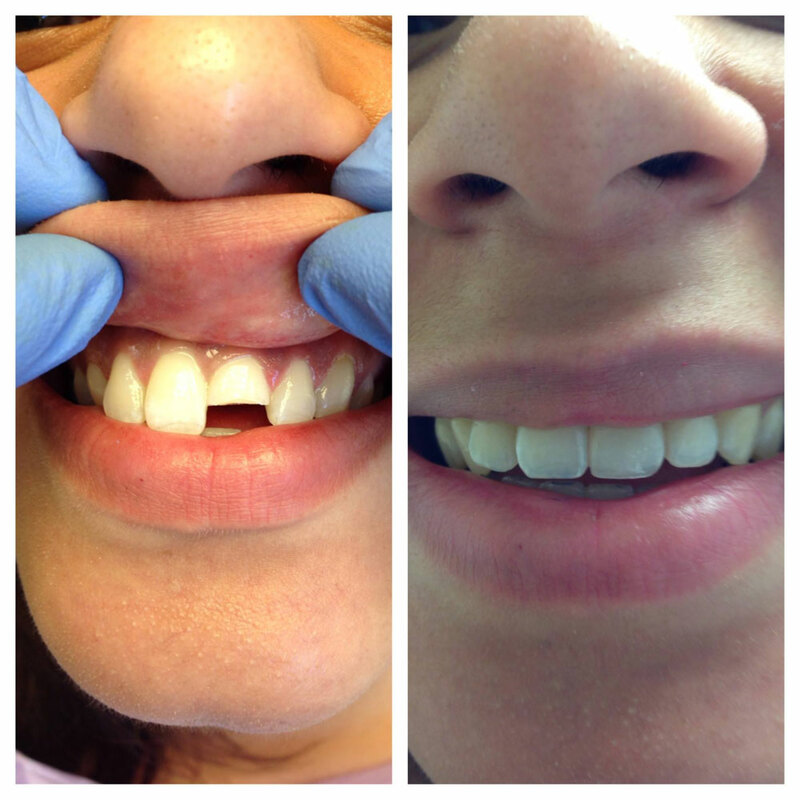 Because the most common side-effect of teeth whitening is increased sensitivity, Dr. Amirian implements the use of custom trays to decrease patient sensitivity and offers patients an anti-sensitivity paste. These are offered to every patient, providing them maximum comfort. 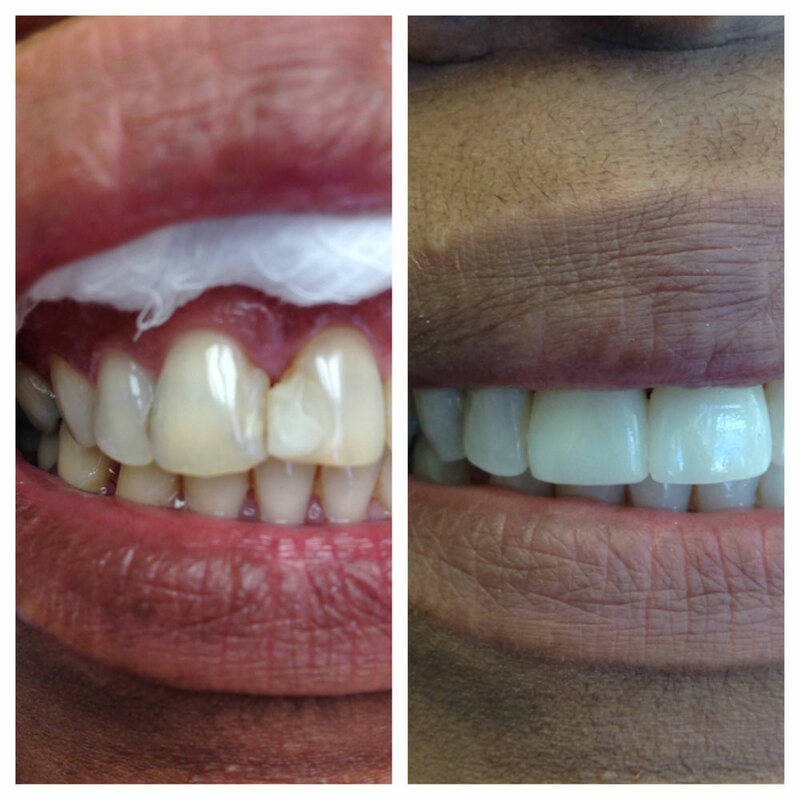 This unique approach is integrated into the whitening process to increase patient satisfaction while drastically reducing the side effects associated with teeth whitening. Professional whitening differs from over-the-counter products namely in strength and safety. When whitening is performed under the supervision of a dental professional, clinical studies show it to be safe for teeth and gums. 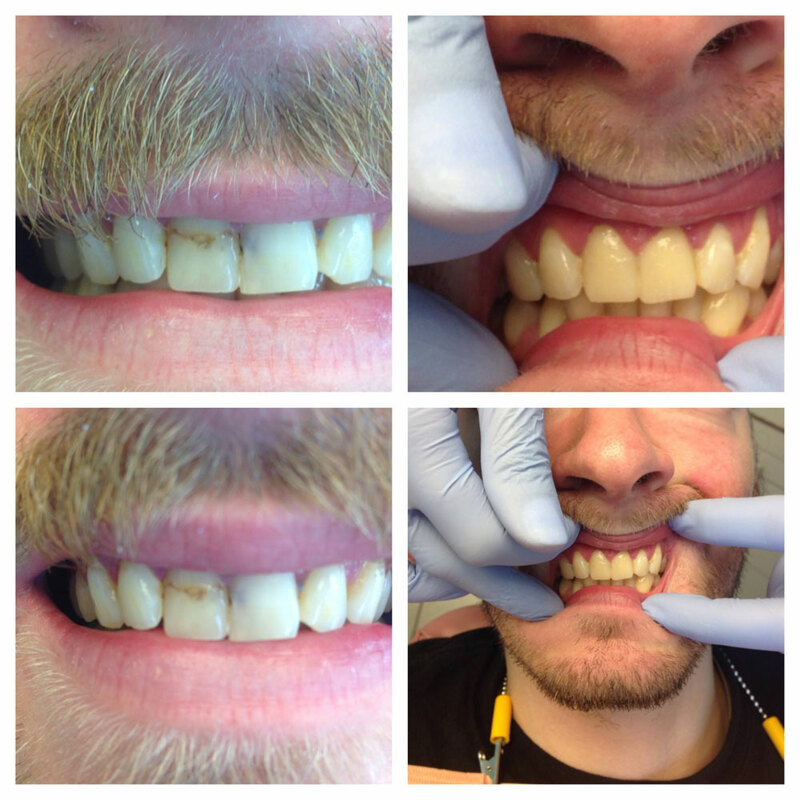 Teeth Whitening performed at our Brooklyn Heights dental office by Dr. Amirian and his colleagues can also provide more impressive results in less time. Such in-office teeth whitening treatments are conveniently quick compared to alternative options, especially for patients with continual tooth discoloration from coffee or tobacco who require persistent treatment to keep their teeth bright white. Additionally, at-home whitening kits can be too abrasive, causing tooth sensitivity, or aren’t effective enough. Achieve a bright, white smile today through one of our Brooklyn teeth whitening options! 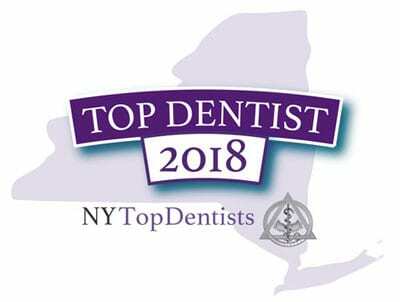 Contact our Brooklyn dental practice at 347-894-5497. Because having whiter teeth has now become the number one aesthetic concern of most patients, there are a number of ways to whiten teeth. The most popular method is using a home teeth whitening system; however, there are literally hundreds of whitening treatments available in the marketplace, including take-home strips, bleaching toothpastes, and take-home whitening trays and gels. Many take-home gels are ineffective and may not elicit the desired results. Since teeth whitening only works on natural tooth enamel, it is important to evaluate replacement of any old fillings, crowns, etc. 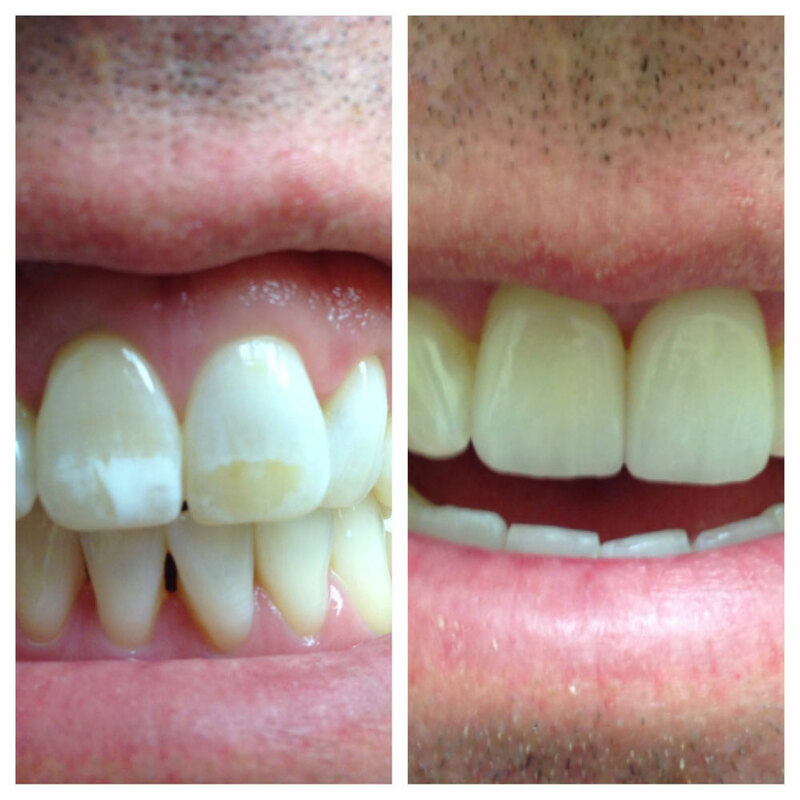 Replacement of any restorations will be done after bleaching so they will match the newly bleached teeth. Teeth whitening is not permanent. A touch-up may be needed every several years, and more often if you smoke, drink coffee, tea, or wine. • KöR Whitening is so effective; it is the only recognized system in the world that will even whiten tetracycline (dark) stained teeth, previously thought to be impossible. • With easy periodic at-home maintenance your teeth will stay white permanently, even while you continue to drink red wine, tea, coffee etc. • During the whitening process nearly all patients experience only low to typically no teeth sensitivity. If you have ever seen the teeth of a young person, about 14 years old, you’ve seen their teeth get incredibly white very quickly. The perfect age to whiten is 14. 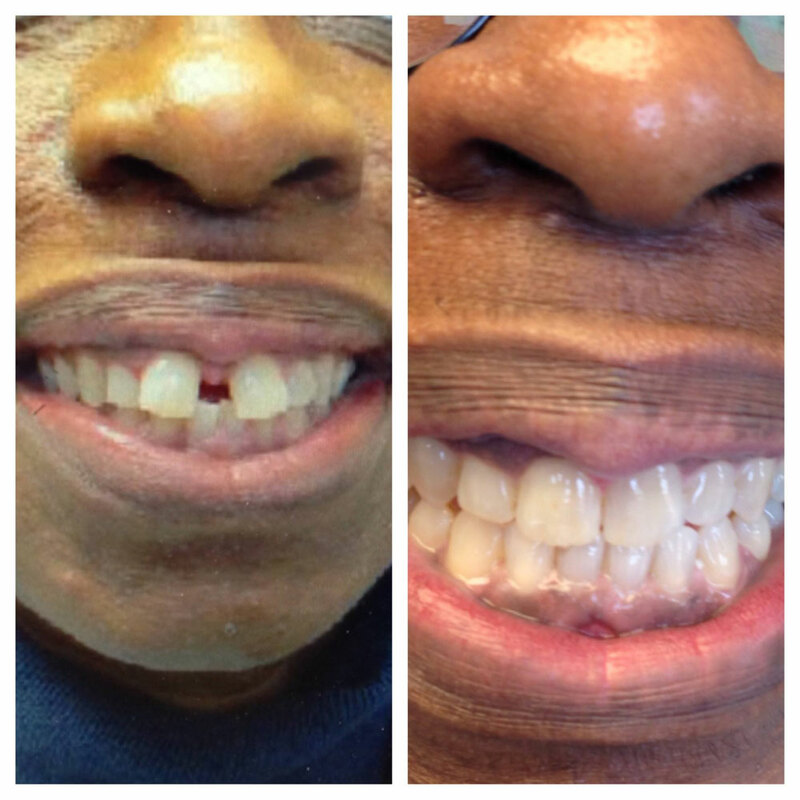 At age 14, the permanent teeth are erupted and the teeth are still extremely permeable to bleaching factors. The scientific literature is in complete agreement, and indicates there are no contraindications to whitening the teeth of children. Have you ever seen whitened seventies or eighties with white teeth? If you have, it must have been difficult to get them whiter. Typically, older teeth are very, very difficult because of all of the micro-debris that has compacted within the microstructure of the teeth over the years. Simply stated, the microstructure of younger teeth is more permeable to bleaching factors, and microstructure of older teeth is less permeable to bleaching factors. If the tooth microstructure is not permeable to peroxide bleaching factors, I don’t care what brand of whitening gel you use, what strength of whitening gel you use, or if you use a light or laser or not – if the tooth structure isn’t permeable to the bleaching factors, the bleaching factors will not go into the microstructure of the tooth. 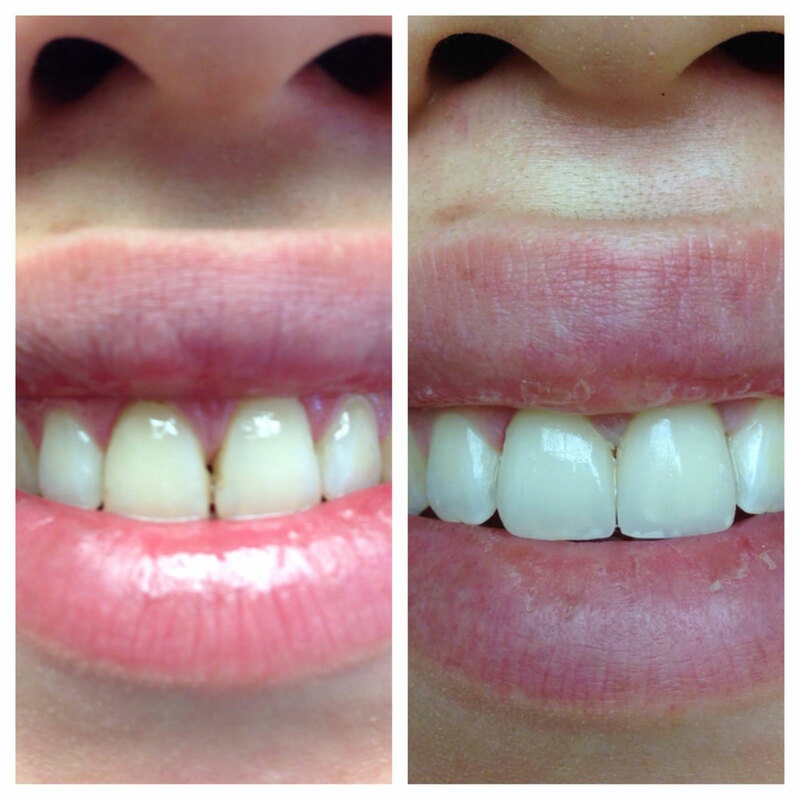 The result is minimal or no whitening. End of story. KöR® Whitening Deep Bleaching™ focuses on conditioning the teeth (removal of packed debris within and between enamel rods). KöR conditions teeth much more than typical whitening, so not only are the teeth much whiter after at-home whitening, but they are also extremely ‘conditioned.’ After conditioning by at-home whitening, bleaching factors from the chemically accelerated, higher concentration in-office peroxide can then flood the tooth microstructure. Frequently asked question: “Does this enhanced permeability of the microstructure of the teeth to bleaching factors cause the teeth to also absorb stains more quickly?” No. The teeth of a 14 year-old are naturally conditioned, because they’ve not had time for compaction of debris. Do the teeth of a 14 year-old absorb stains more quickly? When we’re talking bleaching factors, we’re talking about ultra-small, ultra-low molecular weight particles compared to absolutely huge stain molecules. By deeply conditioning the teeth, this will not affect stain absorption any more than any other whitening system. Q: How does the KöR Whitening Deep Bleaching™ System combat the sensitivity issue? A: Our desensitizing method includes desensitizers that plug the orifices of dentinal tubules during bleaching to “prevent” bleaching sensitivity, rather than simply attempting to treat the symptoms. The “Hydrodynamic Mechanism” theory of tooth sensitivity states that movement of the fluid within dentinal tubules is responsible for mechanically activating the nerves at the periphery of the pulp, causing a painful reaction. When the natural smear plugs are lost from the orifices of dentinal tubules, fluid within the tubules can move thirty-two times more freely, causing dentinal hypersensitivity.The oxygenation process during bleaching not only deeply cleanses the tooth, but also actively displaces the plugs in dentinal tubules, leaving the tubular fluid susceptible to flow. The bleaching chemicals create an osmotic gradient in fluid flow within the dentinal tubules outward from the pulp. The result is typical bleaching sensitivity, which can sometimes be very acute. Potassium nitrate, often recommended for treatment of sensitivity, does not plug tubules. In some patients it partially reduces the ability of the pulpal nerves to fire. This affect does not eliminate the pulpal inflammation, and only partially masks the symptoms. Some claim ACP will block dentinal tubules, however ACP has been primarily developed and studied in relation to repairing highly inorganic enamel, not the more organic dentin. Even if ACP were to cause mineral formation within dentin, which is much more organic in nature than enamel, it would do so by slowly “growing” tooth structure instead of actively and rapidly “plugging” tubules. KöR desensitizers actively and rapidly plug and re-plug the orifices of the dentinal tubules during bleaching to “prevent” pulpal inflammation and sensitivity rather than simply treat the symptoms. The first desensitizer, applied at chairside, plugs tubules. The second desensitizer, applied by the patient daily at home, also plugs tubules via HEMA binding with intratubular proteins as well as precipitation of calcium fluoride within tubules. 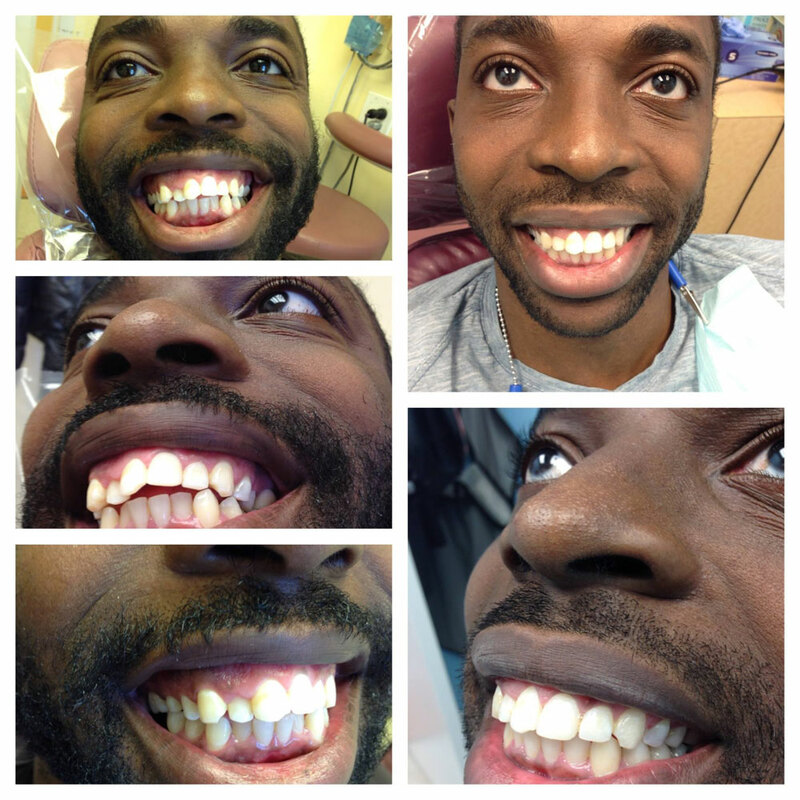 Q: How is it possible to get consistent whitening results every time? A: With our revolutionary KöR Deep Bleaching Trays, and specially formulated KöR Whitening gels, we are able to achieve 6+ hours of active whitening instead of the common 25-35 minutes.This will condition every patient’s teeth so that they become permeable to bleaching factors (whitening byproducts of peroxide). The more conditioned and permeable teeth are to bleaching factors, the better they whiten. 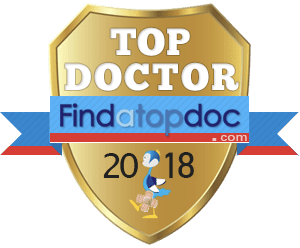 We have several years of research behind us, and the developer, Dr. Rod Kurthy, has personally seen the system through development and clinical testing every step of the way. When followed appropriately, Dr. Kurthy’s KöR Whitening Deep Bleaching Training Manual ensures “get it right” accuracy. Add to all of this our unique refrigeration process, not to mention the thousands of dental professionals who are singing the praises of KöR’s reliability, our satisfaction guarantee, and you have every confidence that you’ll get it right all the time. Q: What makes the KöR Whitening Deep Bleaching™ System permanent? 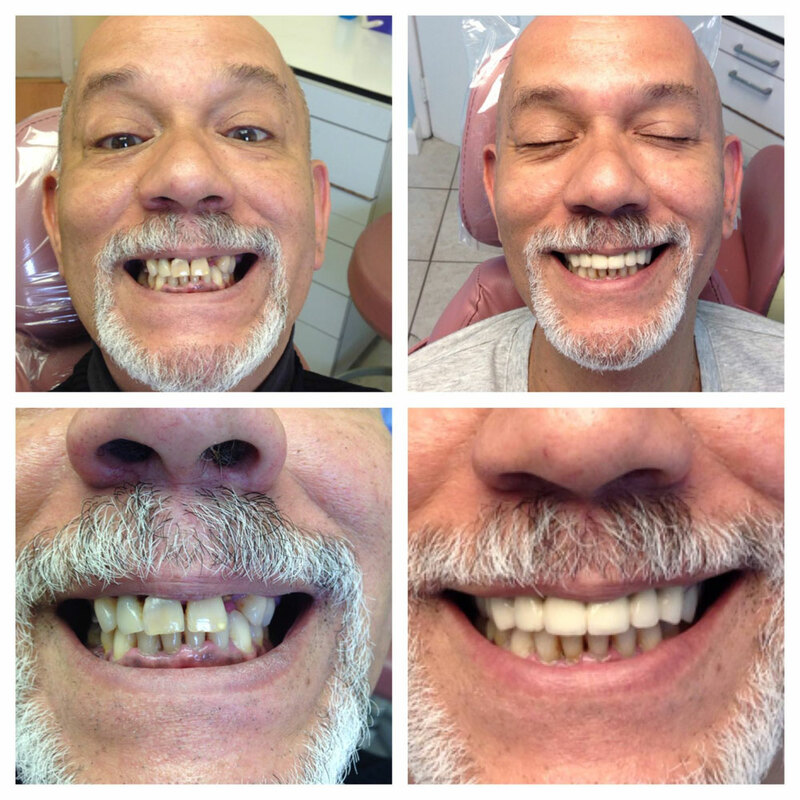 A: Unlike other whitening methods the KöR System is able to fully rejuvenate and restore teeth to their youthful ability to absorb bleaching factors; allowing pigments and stain molecules to be fully flooded by bleaching factors, thoroughly breaking down large stain molecules to ultra-small colorless and white particles.The resultant conditioning and permeability of the teeth to bleaching factors facilitates easy, effective periodic at-home maintenance by patients, keeping the level of whiteness absolutely permanent, while still allowing patients to consume coffee, tea, red wine, etc. Q: Is the full system necessary to make it work? A: Yes. Following the complete recommended system is the only way to achieve whitening results that will fully satisfy you. As long as all steps are followed you will get a fabulous result every time.No matter how small a step is, not following it may result in unsatisfactory results. 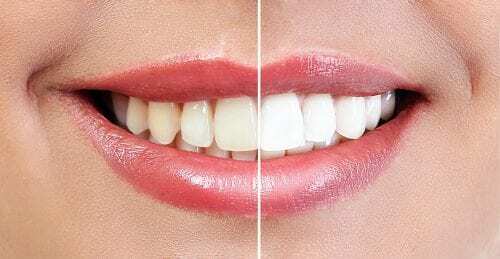 The results of KöR Whitening are not due to a single “magic bullet,” but rather a complete series of technique steps that together with ideally-matched products result in the amazing whiteness you’ve seen and heard about. Q: What are the benefits of KöR Whitening VIP Membership? Welcome to our before and after photos. 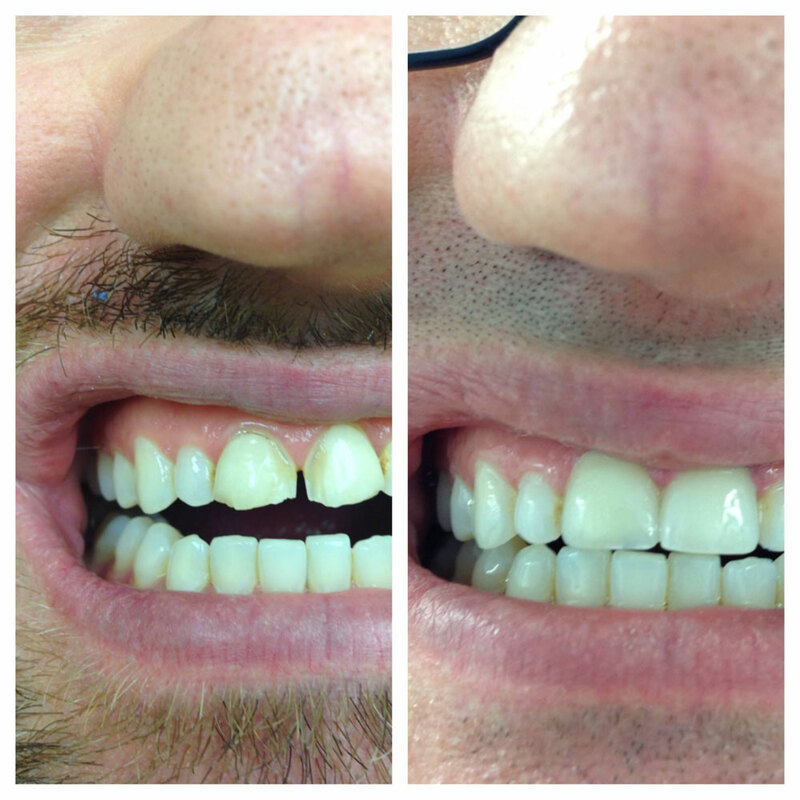 Please enjoy some of our amazing teeth transformations.